Note: Chef Tom Whitaker prefers to provide the ingredients in metric measurements; a converter to American measurements can be found here. In batches, add the mix to a blender and emulsify with the olive oil till smooth and silky. Note: Alternatively the ingredients and oil can be run through a food processor or even a meat grinder for a chunkier version. 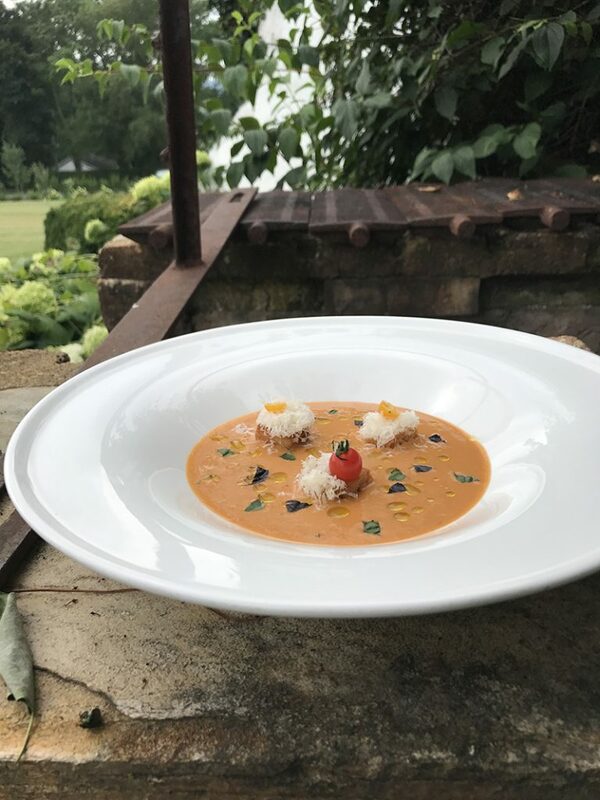 At the Ashby, we emulsify three-quarters and grind the remaining for a best-of-both-worlds gazpacho.